In 2018, Nampak consolidated its ongoing focus on operations and financial stability, which led to an improved overall performance. A 15% increase in headline earnings per share was delivered. By implementing a multi-year revolving credit facility, we addressed our debt profile and strengthened the balance sheet. Capital expenditure was carefully managed, without compromising the integrity of our assets, many of which have been upgraded in recent years. A further improvement in the group's safety performance was reported, delivered greater operational efficiencies, and transferred substantially more cash from our Rest of Africa operations. In a constrained environment, particularly in South Africa, costs were tightly managed. We continued to invest in our people, and implemented new tools for enhanced people performance, talent management and succession planning. unlock operational leverage in our Metals business. After a number of years of disappointing performance by the Glass business, its value was impaired by R677 million at year-end. This was not an easy decision and was based primarily on an impairment model that is extremely sensitive. After considerable discussion with our auditors, we deemed this to be the most sensible option. Enhancing broad-based black economic empowerment (B-BBEE) remained a priority, and our contributor status at level 6 under the revised codes was maintained. We remain committed to improving our rating further in the year ahead and have extended our work on a structure to facilitate meaningful B-BBEE ownership. In 2018, visibility of all our B-BBEE activities was improved through the establishment of a B-BBEE steering committee, which centralised control of the various initiatives across the group. Nampak's improved overall performance was in the face of persistent macroeconomic headwinds. These included the contraction of the South African economy, a slowdown of growth in Nigeria and Angola and ongoing economic difficulties in Zimbabwe. Consolidation among customers remained a theme, as did greater competitor activity in some markets. In Angola, we were encouraged by the swift delivery of a number of commitments made by the new administration which improved the investor climate. Foreign currency liquidity restrictions were alleviated toward the end of the financial year, with some R1.8 billion transferred from our operation there. Our hedging programme was also successful in protecting shareholders against a potential R1.6 billion currency devaluation risk. In response to the improvement in the Angolan economic outlook, our intention is to convert Nampak's tinplate beverage can line there to aluminium, at a cost of some R280 million, in order to better serve the needs of the market. In Zimbabwe, mounting foreign currency shortages were mitigated to some extent by strictly enforcing credit limits from Nampak suppliers into that country. We made good progress towards concluding an agreement with the Zimbabwean central bank for the transfer of US$55 million, without any devaluation risk. In Nigeria, the country's recovery from the US dollar liquidity challenges of 2017 allowed for unfettered cash transfers back to the group. The stabilised currency as well as the regularised foreign currency liquidity prompted Nampak to commit to capital investment of R100 million in a new food can line in Lagos. Our Nigerian beverage can business significantly improved volume throughput as we expanded market share and demand increased. While there were some encouraging political developments in South Africa, the regulatory and policy environment remained uncertain. High administered prices continued to hamper the growth that the economy requires to unlock greater capacity utilisation and, in so doing, create jobs. Unemployment increased and consumer demand weakened even though political sentiment improved. The provision of municipal infrastructure, particularly in Emfuleni and Ekurhuleni, deteriorated, becoming an increasing obstacle to efficient manufacturing. Although Nampak operations transferred a total of R3.5 billion back to the group from previously cash-restricted countries, the board decided not to resume dividends to shareholders until the sustainability of cash transfer from Zimbabwe is assured and the disposal of the Glass business is finalised. For more details of Nampak's financial performance, see the CFO's report. For details on the performance of each of our businesses, see the operational reviews. Nampak continued working towards delivering sustainable profitability and increasing returns in line with our strategy. This refers not only to growing Nampak's profits, but also to securing the group's sustainability in a much broader sense, by creating value for all stakeholders. Against the backdrop of increasing awareness of the environmental impact of thoughtlessly discarded packaging, we are committed to supporting industry initiatives to improve recycling rates. We are also continuing our innovation of lighter and more environmentally friendly packaging, and are able to offer exciting alternatives such as infinitely recyclable aluminium beverage cans as well as liquid cartons made from sustainably sourced paper. To understand how we aim to achieve sustainable profitability, see Sustaining value with the six capitals. To see our performance against our strategy, see Our strategy – performance and plans. In 2018, the board, which is responsible for Nampak's strategic direction, ensured that the company continued to be governed in an ethical and effective way (see Ensuring good corporate governance for the governance report). Shortly after year-end, Mr Tito Mboweni resigned as a director and chairman of the board, following his appointment to the South African cabinet. Lead independent director Mr Peter Surgey was appointed by the board to succeed Mr Mboweni as chairman. The board and management thank Mr Mboweni for his valuable contribution to Nampak over many years and wish him well in his new role, where we believe he will be able to add much-needed value to the country. We also welcome Mr Surgey as chairman, and look forward to the acumen that he brings in his new role. 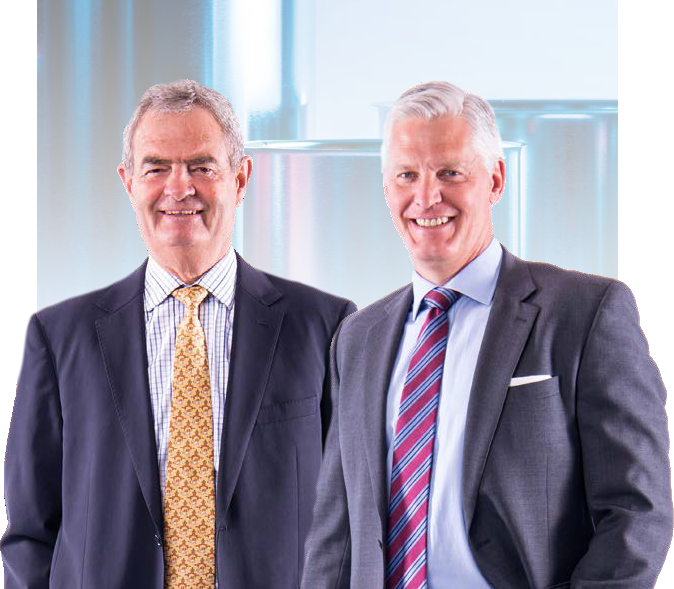 In 2019, Nampak will continue to focus on delivering more operational improvements, and turning around the Plastics business in particular. We have already made good progress with Glass divestiture and, subject to regulatory approvals and negotiations being successfully concluded, this is on track for finalisation in the first half of the 2019 financial year. Despite increased competition in the South African beverage can sector, we expect cost savings from our recently reduced manufacturing footprint as well as gains from improved operating efficiencies to support the group's profitability. As our businesses grow in Angola and Nigeria where our contracts are dollar-linked, upon translation in an increasingly weak rand we can expect a positive impact. Both these markets remain exciting in terms of their medium-term potential for exponential growth in FMCG products, for which Nampak is well positioned to provide packaging. The operating environment in Zimbabwe from a liquidity perspective remains challenging, but we are hopeful that the country's complex issues will be resolved in time by the new administration. We remain committed to continuing to play our part in the transformation of South Africa to a more equal society, and in so doing ensuring Nampak's sustainability. We would like to thank our colleagues, customers and suppliers for their contribution and look forward to their continued support in the year ahead.